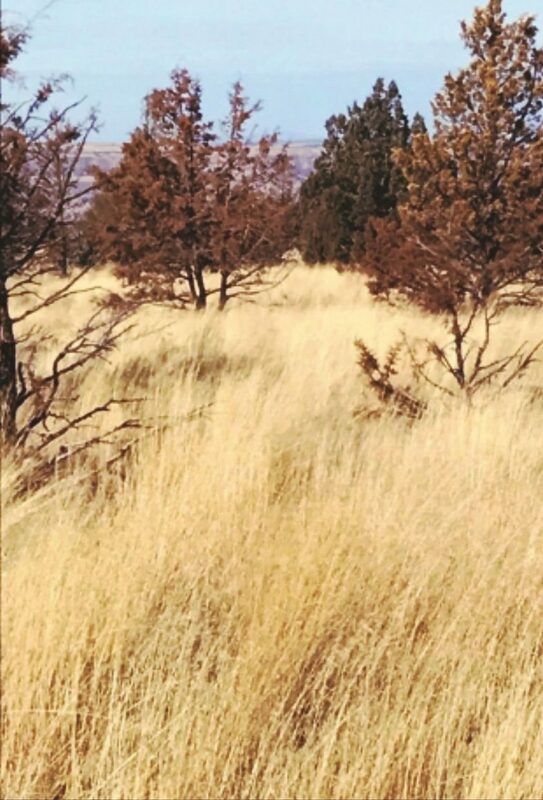 This photo shows the overgrowth of grass 18 months ago on the Hammonds' private land that is unable to be grazed because it is "checkerboarded" with BLM-administered land. After a good summer and fall, the forage is even more abundant today. 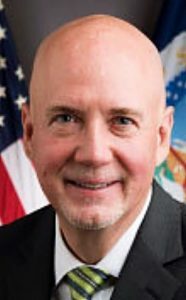 The Hammonds' BLM grazing permit renewal was denied in 2014 and has yet to be renewed. Dwight and Steve Hammond are in the midst of their five-year prison sentences under the “Antiterrorism and Effective Death Penalty Act of 1996,” for burning — and subsequently putting out — about 140 acres of Bureau of Land Management-administered land. The family, who ranch in Harney County, Oregon, has not been able to use their grazing allotment for nearly four years. Many in the community including Erin Maupin and Travis Williams wonder why. No fences or other property were damaged in the fires and a range conservationist testified under oath that the larger fire improved the condition of the rangeland. Dwight was found guilty of burning one acre of BLM land, when a prescribed burn on private land to reduce overcrowding juniper, spilled over onto the adjoining federally administered land in 2001. 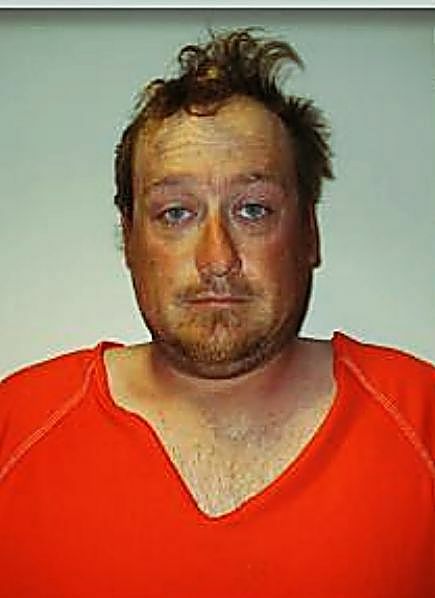 Steven was found guilty of burning that same one acre, plus 139 more acres in 2006, when he lit a back burn to protect the family ranch headquarters after a series of lightning-lit fires were heading toward them. The backfire succeeded in protecting the home quarters. Hammond Ranch, Inc. (HRI) — the only ranching family that maintains a large tract of private land and graze BLM-administered land on the top of Steens Mountain — was denied a renewal of their grazing permit in 2014, prior to a judge imposing the full five-year prison sentence on Dwight and Steven. According to Maupin, a former BLM watershed specialist and neighboring rancher, the other ranchers, who had previously grazed BLM land in that area, have traded allotments and large private inholdings to the government through the creation of the Steens Mountain Act. Much of the grazing allotments that were handed over were then designated a Wilderness Area, containing about 180,000 acres. Almost 100,000 acres were designated as “cow-free” wilderness due to pressure from environmental groups and the Clinton administration, she said. The two Hammond men served time in 2013 for the fires they admitted to starting. Although they had been sentenced, imprisoned and released, a different judge imposeed the mandatory minimum, five years in prison, and back to jail they went in 2016. They also paid a $400,000 fine to the BLM as the result of a civil suit. HRI appealed, and the matter is now before the Hearings Division of the U.S. Department of Interior, Office of Hearings and Appeals, for an adjudication of the merits of Hammond’s appeal. Onlookers are confused as they watch employees of federal lands, whether it is the BLM in Oregon or the U.S. Forest Service in South Dakota, start fires on federal grazing permits with bought-and-paid-for grazing rights that spill over to private land, destroying in many cases hundreds of thousands of dollars worth of grass, fences, trees and more. The Hammonds have appealed the grazing permit denial and also requested a stay (the right to graze while waiting for the decision). Their request for a stay was denied and they are waiting for a decision on their appeal. “HRI applied to renew it’s grazing permit because HRI has maintained its satisfactory record of performance as a permittee within the Burns District for the last 45 years and counting,” the Hammonds said in their appeal and petition for a stay. 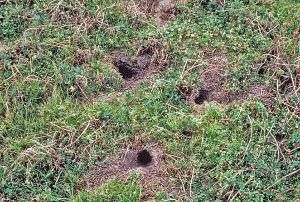 Because the Hammonds can’t use their grazing allotment, they are also unable to use their private land, which can’t be fenced because of the rough terrain. “They own a significant amount (around 10,000 acres) of private land intermingled with their BLM allotment (around 60,000 acres total) that they are unable to use because there are no fences to separate the two,” Maupin said. 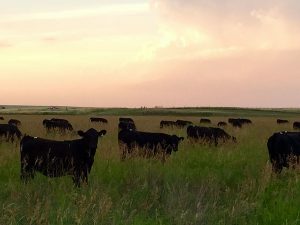 A grazing allotment owner is not allowed by the BLM to sell or transfer his or her grazing rights when the permit has been denied, Maupin said, and she’s seen denials lead to an eventual retirement of grazing rights more than once. “The Hammonds are at the top of the mountain. There is green grass all the way up, all summer long, from April to September. The purpose behind this is that they are the last major private landowner on the Steens Mountain. If they get rid of the Hammonds, there will basically be an extension of the ‘cow free’ wilderness from the top of the mountain down to the Malheur Refuge,” Maupin said. While the Hammonds wait for a ruling by the U.S. Department of Interior Office of Appeals, the grass on their permit goes unused and the family, already strained by two individuals imprisoned for five years, had to find alternate forage for their cattle. The family has sold some cattle and the remaining herd grazes in a co-op near Burns, Ore.
Brendan Cain, the former BLM district manager who denied HRI their grazing permit renewal used 11 pages to describe, in detail, the fires that the Hammonds readily admitted to starting, and the danger for firefighters. In the denial document, Cain referenced in great detail, testimony that was ordered by the judge in the 2012 case to be thrown out and also referenced charges that they were accused of but found not guilty of. “In the final decision, BLM relied on the Hammonds’ convictions as well as trial evidence of other fires in concluding that HRI did not have a satisfactory record of performance. That evidence included multiple instances of the Hammonds setting fires to eliminate juniper for the purpose of increasing forage for their cattle,” Cain said. According to Jeff Rose, the current BLM Burns district manager, the Burns District BLM burned over 28,000 acres in 2001 on private and BLM-administered land, in two big prescribed burn projects on the top of the Steens Mountain. “We operated under cooperative agreements and the BLM conducted the two burns. Private landowners help put in firelines prior to the fires and helped with operations and logistics when the fires were conducted,” he said. According to a BLM report from 2002, the BLM and the U.S. Forest Service used prescribed fire to intentionally burn 87,988 acres in Oregon. Also in Oregon during the same year, wild fires burned 1,010,952 acres on federal and state land. 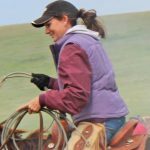 Rose said in a January, 2018, interview with Tri-State Livestock News in Belle Fourche, S.D., that the BLM, as an agency, uses fire extensively to manage the range. “When we do prescribed burning, the plant communities respond favorably. A lot of perennials improve, like flowers and grasses. That’s one of the reasons we used to do that a lot in the late 90s and early 2000s, and we still do it in some spots. It’s also to control juniper. The prescribed burning allows forage for wildlife and livestock, which is one of the goals for the projects,” Rose said. The BLM is not able to conduct prescribed burns on the 170,000-acre Wilderness Designation on the Steens Mountain because fire management is nearly impossible due to the requirement that no motorized vehicles be used in Wilderness Areas. Rose was unable to comment on the condition of the Hammonds’ allotment because of ongoing mitigation over the grazing permit denial. He was also unable to comment on the permit denial itself. An Oregon report revealed that in 2006, a total of 493,420 acres were burned by wildfire across the state’s federally managed land, costing over $90 million to battle. U.S. District Judge Michael Robert Hogan, who presided over the first case, said the Hammond-lit fires resulted in about $100 in damage. A range specialist testified under oath that the condition of the rangeland improved following the fires. “The 2001 fire may have added livestock forage on public lands the Hammonds grazed for profit, but it also endangered people in the area and violated BLM grazing permit regulations,” Cain said. “Dwight told Mr. Ward that, for years, he had wanted to burn the area where the 2001 fire had burned and that while BLM had promised him that it would be burned with a prescribed fire, it had not. Instead of coordinating with BLM, the Hammonds took matters into their own hands,” Cain said. The Hammonds did utilize fire as a management tool, in much the same way that the BLM did and continues to do so. Neighbors of the Hammonds’ grazing allotment say that because they have been denied the ability to graze for nearly four years now, the overgrowth has become a serious fire hazard. Williams said the ungrazed grass presents potential for thousands and thousands of acres to burn needlessly and uncontrollably. Just as the Hammonds’ used backburning to protect their home in 2006, Maupin recalls the BLM using the same technique to try to stop that very same blaze, known as the Krumbo Butte fire, when several fires merged. “BLM was lighting backfires all over the mountain. They had drip-torches attempting to light backfires for miles trying to keep the fire from jumping across the Steens Loop Road,” she recalled. Maupin’s husband was working with the BLM, trying to keep their cattle out of the fire’s path. Minutes from a 2006 Steens Mountain Advisory Committee meeting reveal that Susie Hammond had requested cooperation from the BLM on burning that year. “As private landowner they have tried for years to address the liability and the responsibility for fire management. She said it doesn’t happen, and she doesn’t know why. It seems to her it is a pulling back of the agency and not wanting to address the liability. Every landowner has their own reasons for allowing or not allowing fire but she thinks there is an agreement that could be made. She would like to see the BLM produce some kind of proposed agreement for the next SMAC meeting,” according to the December 2006 meeting minutes, summarizing Susie Hammond’s comments. Meeting minutes from March of 2006 reveal that she commented on the Oregon Natural Desert Association’s (an anti-grazing group) “inventory,” saying that their inventory was not credible and that much of it was made by trespassing on private property including that of the Hammonds. According to Angus McIntosh, the executive director of the Range Allotment Owners Association, permittees or “allottees” are exempt from prosecution for burning brush, trees or grass on their own allotments. Whoever, willfully and without authority, sets on fire any timber, underbrush, or grass or other inflammable material upon the public domain or upon any lands owned or leased by or under the partial, concurrent, or exclusive jurisdiction of the United States, or under contract for purchase or for the acquisition of which condemnation proceedings have been instituted, or upon any Indian reservation or lands belonging to or occupied by any tribe or group of Indians under authority of the United States, or upon any Indian allotment while the title to the same shall be held in trust by the Government, or while the same shall remain inalienable by the allottee without the consent of the United States, shall be fined under this title or imprisoned not more than five years, or both. This section shall not apply in the case of a fire set by an allottee in the reasonable exercise of his proprietary rights in the allotment. It is the final sentence that McIntosh believes would give the Hammonds and other federal lands allottees the freedom to perform prescribed burns on their own allotments. The attorney for the Hammonds said federal prosecutors sought significant sentences for Dwight and Steven. “The Federal Government had several other civil and criminal statutes to apply to seek any punishment against the Hammonds, including the Taylor Grazing Act, 43 U.S.C. § 315a (see also 43 C.F.R. § 4170.2-1), the Federal Land Policy and Management Act, 43 U.S.C. § 1733(a) (see also 43 C.F.R. § 4170.2-2), or the certain Public Land fire related criminal provisions, 18 U.S.C. §§ 1855, 1856. However, these statutes did not have mandatory jail time, whereas the Antiterrorism and Effective Death Penalty Act of 1996, did have mandatory time. One can only conclude from this that the BLM wanted mandatory time,” said Alan Schroeder, who represents HRI. Dwight, who turned 76 in January, is scheduled to be released in January 2020. Steven turns 50 in February and will be released in late June 2019. Petitions for clemency filed by each of them are still pending. A request for additional information to the Department of Interior Board of Appeals was not answered.